Comments: A dramatic vertical half-folio of the entrance to the cave of Elijah, on the summit of Mt. 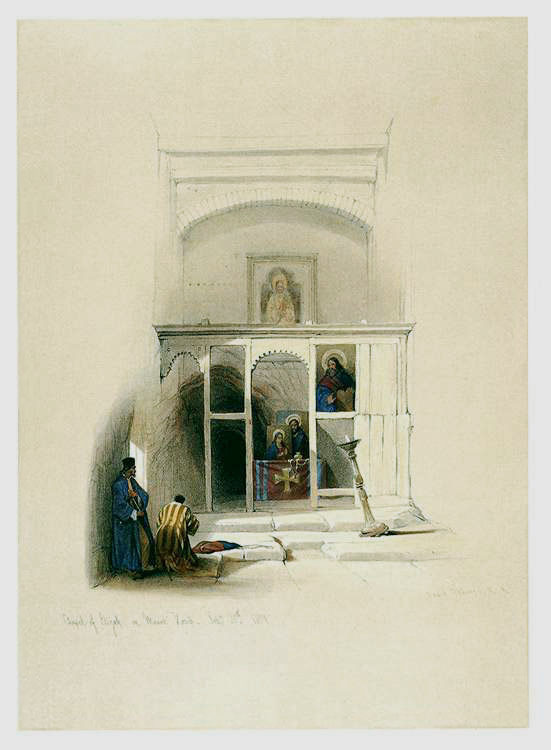 Sinai, at which a small chapel had been built. Price: $175 uncolored, $250 colored. Title: Chapel of Elijah, Mount Sinai. Paper: 15 7/8" x 24 1/8"
Image: Approx. 13" x 9 1/2"